LandWatch is a 501(c)3 tax exempt, non-profit organization. Thank you for your generous support. 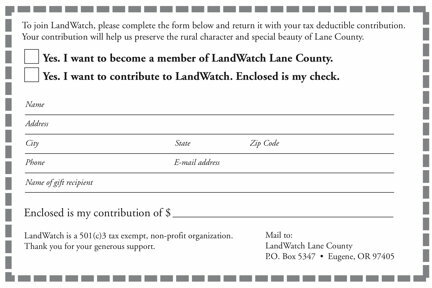 Your contribution will help us preserve the rural character and special beauty of Lane County.